Sites devoted to dragon themed fantasy artwork, graphics, or designs. This catagory is designed for dragon community sites, or example sites containing community features such as chat rooms, member benefits, and dragon themed messageboards. This Catagory is designed for dragon based web sites providing useful or valuable dragon resources such as articles or dragon specific projects. This category is reserved for roleplaying sites, MUCKS, and similar traits, preferrably with fantasy or dragon based content. 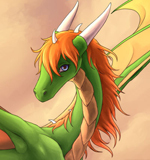 This catagory is for fun dragon sites consisting of webcomics, dragon flash, online quizzes, and dragon themed entertainment on the web. This catagory is designed for sites that sell or produce dragon or fantasy themed merchandise. Designed for general content which for one reason or another does not fit into the other available categories properly.